China’s parliament unanimously handed President Xi Jinping a second term Saturday and elevated his right-hand man to the vice presidency, giving him a strong ally to consolidate power and handle US trade threats. Xi received a standing ovation after winning all 2,970 votes. Only one delegate voted against Wang’s appointment, with 2,969 in favour. In 2013, Xi had received 2,952 votes, with one against and three abstentions, a 99.86 percent share. Xi and Wang shook hands as the legislators applauded. As part of the package of constitutional amendments, Xi and Wang for the first time took the oath of office by pledging allegiance to the constitution. Xi put his left hand on a red-covered book containing the constitution, and raised his right fist to take his oath. 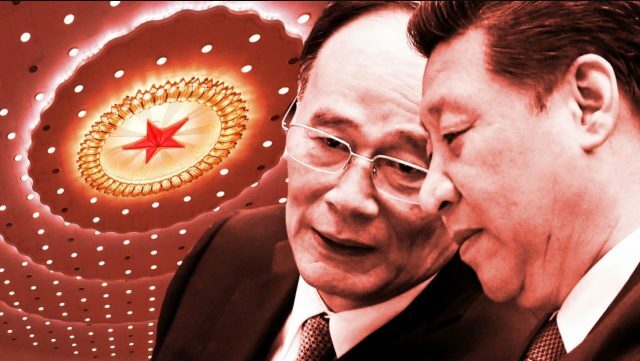 Elevating Wang allows Xi to keep a formidable ally by his side, as China’s most powerful leader since Mao Zedong cements his authority and sets his sights on a possible lifelong tenure. But he has kept a prominent profile, sitting at the same table as the seven members of the Politburo Standing Committee during the public sessions of the National People’s Congress. Wang was at the frontline of Xi’s anti-corruption crusade, heading the party’s Central Commission for Discipline Inspection, which punished 1.5 million officials in the past five years, from low-level cadres to regional leaders and generals. He stepped down last year. Russian has said shall take retaliatory actions so have they asked British embassy 23 diplomats to leave. 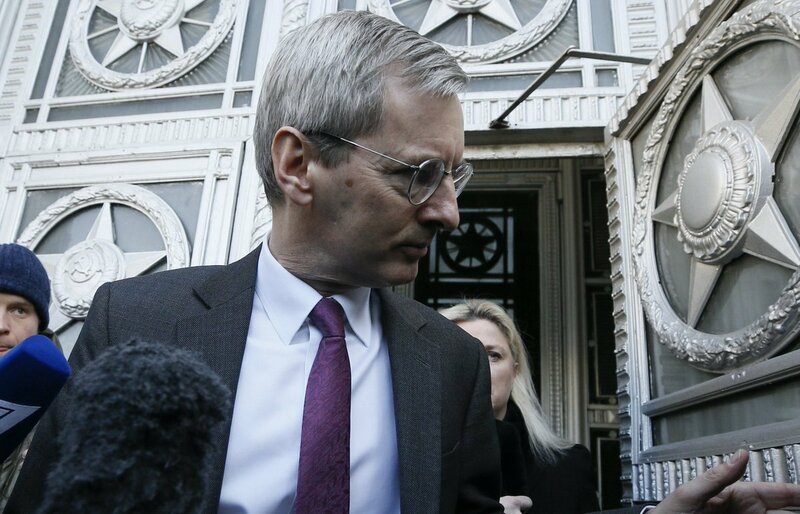 The retaliatory measures were communicated to British ambassador Laurie Bristow, when he was summoned before the foreign ministry in Moscow this week. Moscow times reports Russia has decided to expel 23 British diplomats who must leave Moscow within a week, its foreign ministry said on Saturday, after a meeting with Britain’s ambassador to Russia, Laurie Bristow. Russia announced Saturday it will expel 23 British diplomats and halt the activities of the British Council in response to London’s “provocative” measures over the poisoning of a former Russian double agent and his daughter. “Twenty three diplomatic staff at the British embassy in Moscow are declared persona non grata and to be expelled within a week,” the foreign ministry said in a statement after summoning the British ambassador Laurie Bristow. It said the move was a response to Britain’s “provocative actions” and “baseless accusations over the incident in Salisbury on March 4,” referring to the poisoning of Sergei and Yulia Skripal with a nerve agent developed in the Soviet Union, which Britain has blamed on Russia. Russia also said it was halting the activities of the British Council, Britain’s international organisation for cultural relations and educational opportunities, across the country. TV Heartthrob Tarun Malhotra’s Bollywood debut opposite Esha Deol in Cakewalk. Well, Rahul Sharma sure looks the promising star of 2019! Atta boy! Former Congress president Sonia Gandhi addresses the 84th party plenary session in New Delhi. Modi’s promises were all ‘dramebazi’, says Sonia. Forty years back Indiraji’s stunning victory in Chikmagalur turned around Indian politics, once again our party must give a similar performance. You all know how due circumstances I entered the public sphere but when I realized that the party is weakening, keeping in mind sentiments of Congressmen, I entered the political arena. We are exposing fraud and corruption by PM Modi and the people with him, using proof. It is the beginning of a new chapter, the challenges we are facing are not usual ones. We need to make an India free of corruption and vendetta, under President Rahul Gandhi, let us pledge that we will make all efforts to to do this.